By and large, appraising is a long term career. The rigors of becoming a licensed appraiser have increased more than ever in the past. That's why it goes without question in this day and age that real estate appraisal can unquestionably be called a profession as opposed to a trade. As with any profession we are bound by an ethical code. We have quite a few obligations as appraisers, but first and foremost we answer to our clients. Typically, in residential practice, the lender (or an agent of the lender) places the order to the appraiser, becoming the appraiser's client. Subsequently, appraisers are typically limited to only disclosing information to their clients, so as a homeowner, if you want to obtain a copy of an appraisal report, you generally should request it via your lender. Other obligations include accurate calculations appropriate to the scope of the assignment, acquiring and keeping a respectable level of competency and education, and the appraiser must conduct him or herself as a professional. Maintaining high ethics is just normal course of business for us at Southmost Realty, Appraisals & Court Expert Witness. Appraisers will regularly need to consider the interests of third parties, such as homeowners, both sellers and buyers, or others. Those third parties normally are defined in scope of the appraisal assignment itself. 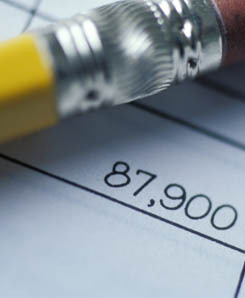 An appraiser's fiduciary duty is limited to those parties who the appraiser knows, based on the scope of work or other written parameters of the order. Southmost Realty, Appraisals & Court Expert Witness has an established track record for providing competent and ethically superior appraisals. Contact us today to learn more. There are also ethical duties that have nothing to do with clients and others. For example, appraisers must keep their work files for a minimum of five years - at Southmost Realty, Appraisals & Court Expert Witness you can rest assured that we stick to that rule. We only perform to the highest ethical standards possible. Doing orders based on contingency fees is not something we can consider. That is, we can't agree to do an appraisal report and collect payment on the contingency of the loan closing. Anyone should be able to see that inflating a value to achieve a bigger paycheck is unethical! We set ourselves to a higher standard. Finally, the Uniform Standards of Professional Appraisal Practice also defines unethical behavior as the acceptance of an assignment that is contingent on "the reporting of a pre-determined result (e.g., opinion of value)", "a direction in assignment results that favors the cause of the client", or "the amount of a value opinion" as well as other situations. We follow these rules to the letter which means you can rest easy knowing we are going above and beyond to provide an unbiased determination of the home or property value. With Southmost Realty, Appraisals & Court Expert Witness, you can be assured of 100 percent ethical, honest service.